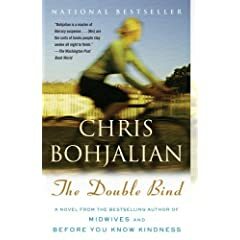 my real life bookclub is discussing The Double Bind by Chris Bohjalian - i am leading and have looked forward to talking about this story for a year. by the way, the author is a great friend to bookclubs - he hosts a discussion board, replies to questions and is in a word, accessible. it is a great gift to a reader to have more information - so go check it out. i am also thankful to gently ease myself back to normal life after retreating. steady as she goes. The God of Animals questions will be up on Wednesday. I'm going to try something a little bit different this month.The plan is to post 2-4 questions each week for a month. This seems like it may be more manageable AND you won't have to finish in order to participate. Sound good? i am not a member of the dc gals bookclub, but i do read vicariously through them. 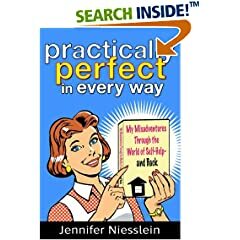 they had their bookclub this past weekend - hosting the author of their selection: Practically Perfect in Every Way by Jennifer Niesslein (still on sale at amazon). did you read anything this weekend? Get your book out (if you have it). Get your coffee, or beverage of choice. Get ready, get set, answer. And that's no typo. The list grew in the last few days, as the ornaments began falling off the tree in an effort to put themselves away. The hubs claims if I hadn't read #35 I could have fit in 2 or 3 extra titles. That's so like a guy, isn't it? If you are curious to have more details about any of the books I've mentioned (here or elsewhere) you can leave me a comment or email me. I wrote a few thoughts about #30-36 on the right side of the blog, under The End.